Congrats to the Ubuntu MATE Team!It looks like their 15.04 release will the first as an Offical Ubuntu flavor. People who are looking for more a traditional desktop look on Linux should check out Ubuntu MATE. I posted a previous video by Luigi showing Ubuntu MATE on PowerPC. So if you have a G4 or G5 there is a PPC ISO you can grab and install. UPDATE: Ubuntu MATE will officially support PowerPC in 15.04! See their blog. Luigi Burdo, a frequent poster on the Ubuntu Forums, posted an awesome video of his G4 MacMini running Ubuntu MATE PPC. I usually visit youtube to see Linux on PPC videos. The ones I have seen have really been not that great. Mostly it is just complaints on things not working. No one really posted a video sharing what Linux could be if one placed the work in. Well Luigi did and it has inspired me to post one of my own soon. So please check it out! These next two browsers are extremely light and fast. They also consume minimal RAM and are not as CPU intensive as other browsers. This makes these ideal for older machines with lower CPU and RAM running. A challenge to be addressed is that both are vim based browsers so they are heavily keyboard driven. 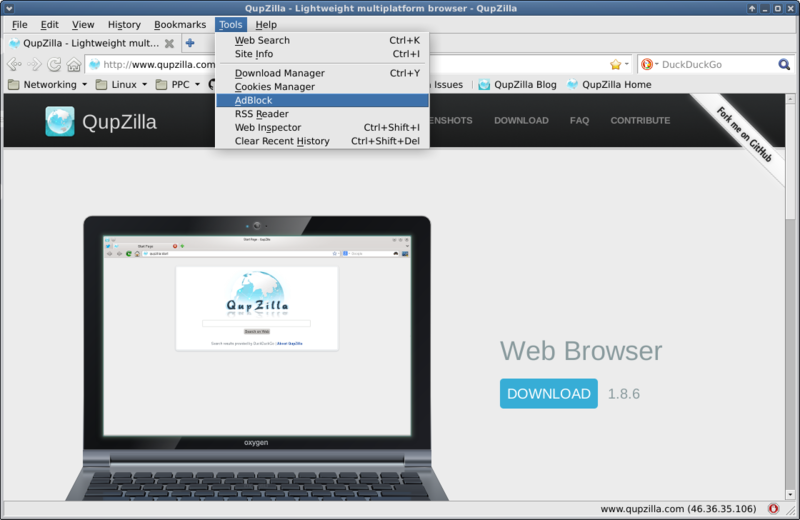 There is a normal or command mode when execute commands like opening a URL in the current tab or opening a new tab, bookmarking pages, performing searches and much more. If you need to type in a web page (like a Google search for example) then you would need to enter the insert mode by using 'i' on the keyboard. People who are not familiar with vim will have a bit of a learning curve. However, if take the time to learn these browsers can make web surfing on an old PPC or even Intel based machine a fast experience. You will still need a browser like iceweasel/firefox for some sites like Facebook. 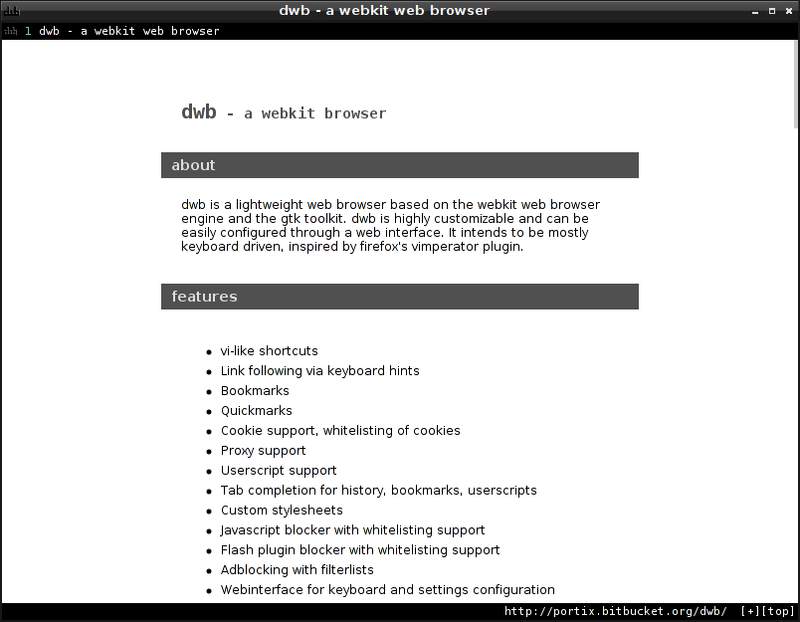 dwb is a lightweight web browser based on the webkit web browser engine and the gtk toolkit. dwb is highly customizable and can be easily configured through a web interface. It intends to be mostly keyboard driven, inspired by firefox's vimperator plugin. What makes this browser appealing is the fast page rendering. While you are in command mode you type 'open url' to open a web page. If you want to open a page in a new tab then you would type 'Open URL'. Also to goto the settings page you enter the following 'Ss'. A complete list of the command options can be found on man page or you can see them here. Some drawbacks I found are moving through tabs and using extensions. There are times when moving between tabs would just not work unless I used my mouse. This at times got pretty annoying after a while. Also I wanted to use the adblocker extension, but I could never get that to work. It could be that debian stable did not seem to have all the features in its distro. It could be that on an distro like Arch you get a better experience. Here are some screenshots. 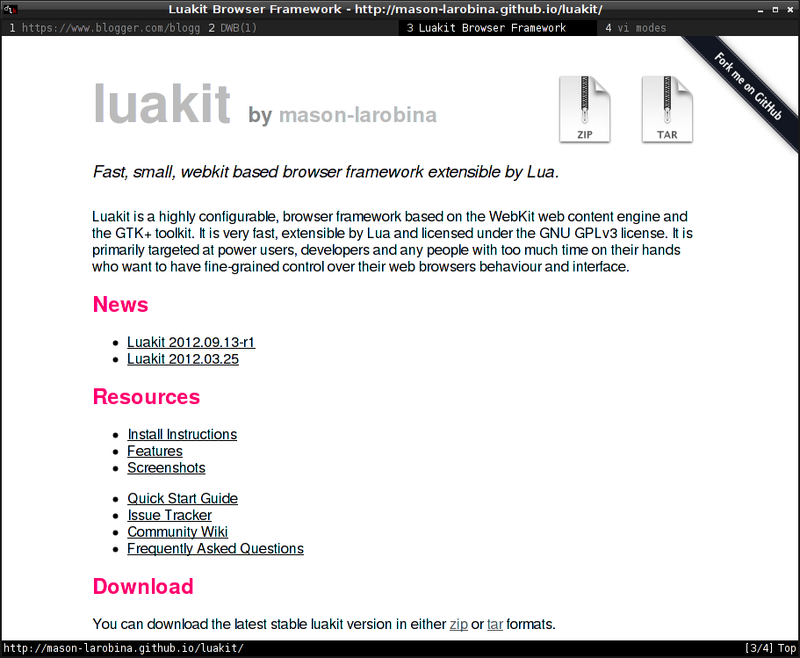 "Luakit is a highly configurable, browser framework based on the WebKit web content engine and the GTK+ toolkit. It is very fast, extensible by Lua and licensed under the GNU GPLv3 license. It is primarily targeted at power users, developers and any people with too much time on their hands who want to have fine-grained control over their web browsers behaviour and interface." This browsers is so customizable! 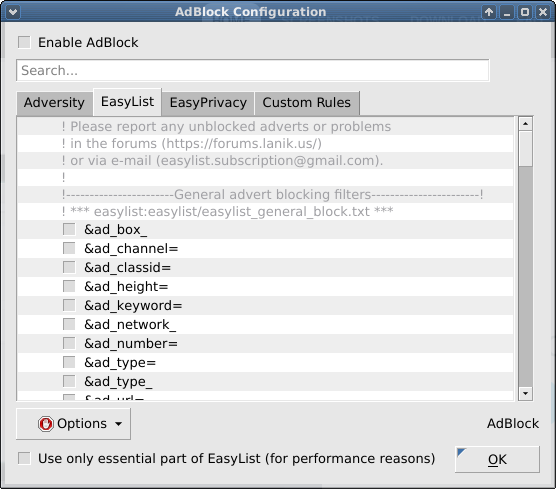 Want adblocking no problem. Want watch videos with mplayer or mpv instead of the browser no problem. All they configuration is done in the Lua language on configuaration files. There is a great YouTube video explaining what you can do with luakit. If you want lightwight, fast, and a customizable browers then give luakit a try!